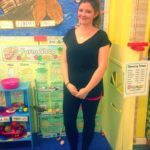 Pursuing a career in teaching has been a great ambition of mine for many years and by completing my studies through the 2Schools Consortium and University of East London I believe I have been equipped with the skills, knowledge and understanding to start my journey on becoming the best teacher I can possibly be. 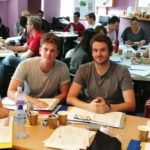 Prior to starting this course I completed my undergraduate degree in Speech and Language therapy at Newcastle University. The training, experiences and support offered by the training school was always exemplary and as a result I felt that I was able to access the best teaching experiences possible. By working within a school environment from the start of the course, I was able to immediately gain valuable experience which was also complemented by the training sessions delivered by a vast range of teaching professionals. The high expectations required by the training school enabled me to be challenged and extended in my studies and the training facilitated my development of my self-evaluation and reflective thinking skills. The training school also supported me in finding my first permanent position as a Newly Qualified Teacher and I was fortunate enough to be employed within the school I trained at. This was extremely beneficial for my career development as it meant I could begin my first year of teaching within an environment I was comfortable and well supported within.